I feel like I read on a blog that metal cocktail rings are the next big thing - can anyone remind where Isaw this so I can give credit? 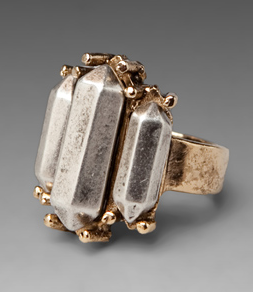 Either way, I really like the idea and this Erin Wasson ring is a great example of how surprisingly cute it can look! Buy for $65 at Revolve Clothing.